I’m usually working on Halloween night so in years past I’ve had to accompany my kids trick-or-treating dressed as a newscaster in my Channel 3 uniform, so I can easily return to the studio for the 11PM News. This year, Halloween falls on a Saturday, and my son and daughter were thrilled that Kara and I could get in to costume. Their request? 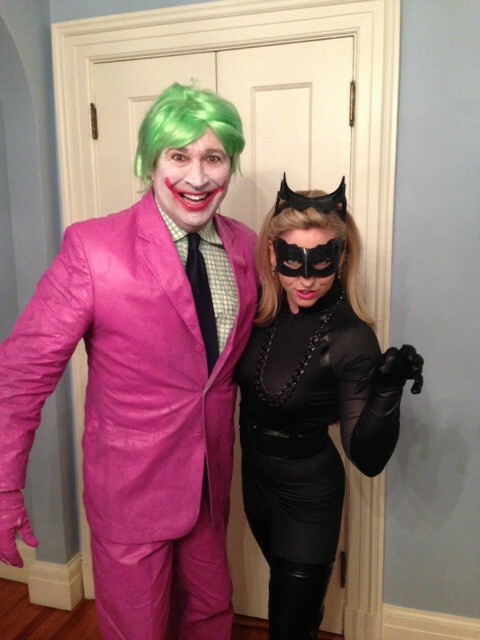 Mom and Dad should compliment their superhero get-ups, and so I’m going as the Joker, and Kara, Catwoman. I picked the Joker from the 1960s “Batman” television series because our children on occasion watch an old episode (new for them) and the latter Jokers on the big screen are a little more violent than the preposterous foolery in the tv show. For the Joker’s suit, I took an old khaki suit and painted it. Seriously. Behr’s Delicious Berry interior paint from Home Depot did the trick. I hung it in the backyard and when it dried it looked just like leather. As for the hair, I bought a cheap wig at Five Below rather than the green hair paint. 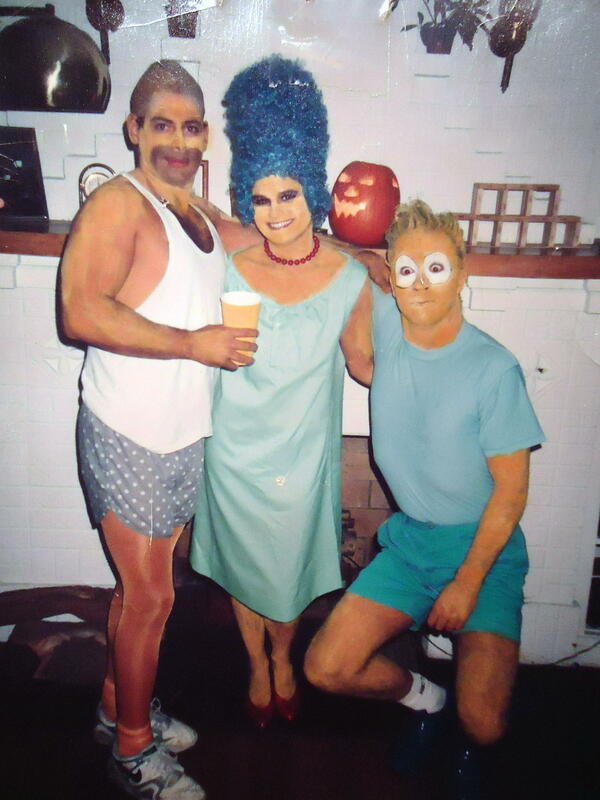 Many years I ago went as Bart Simpson and I remembered that yellow hair spray didn’t come out all that easily. Here’s the finished product that Kara and I tried out at a Halloween party this past weekend. By the way, that khaki suit that I painted? 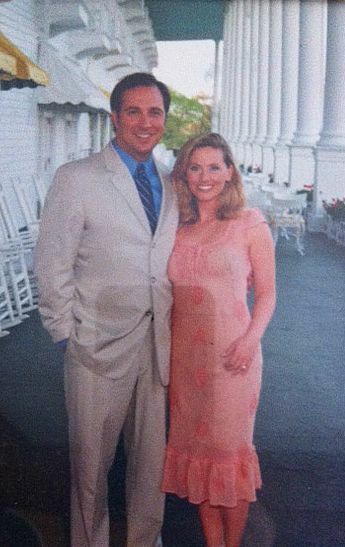 I wore it when I popped the question to Kara on Mackinac Island back in 2002. Still fits! Have a great Halloween! 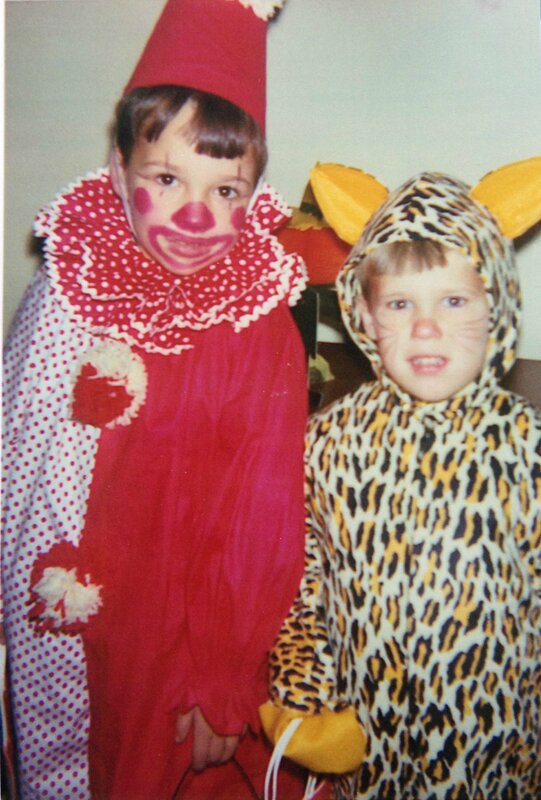 The Joker was not the first time I was a clown. My mom made these costumes. I love your costumes! You both look great! Hope you post pics of the whole family! You both look amazing I am sure your children will love them!! After open heart sugery last month, you guys gave me the biggest laff ever as I just saw you two dressed as the Joker & Catwoman. 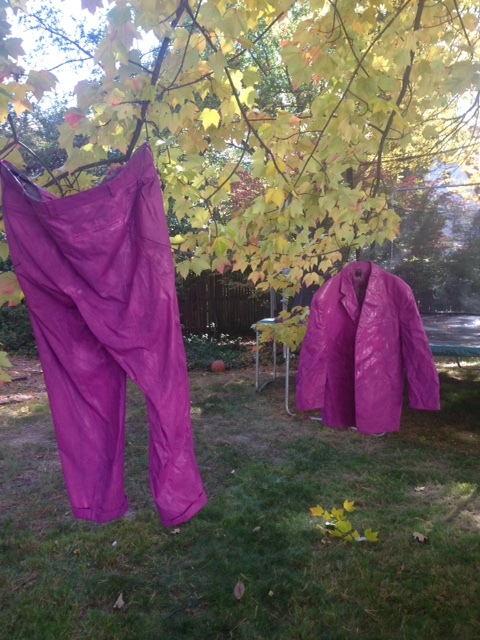 I always made my kids cotumes when they were younger & appreciate seeing other homemade costumes such as yours. You are da bombs!!! Love your costumes! ! Dennis yours was very well made and thought of ! There’s nothing like home made costumes! Heck I remember back when I was younger ,using my mom’s bed sheets as a ghost lol love to see your whole family and family on ch 3 costumes! Love this time of year !